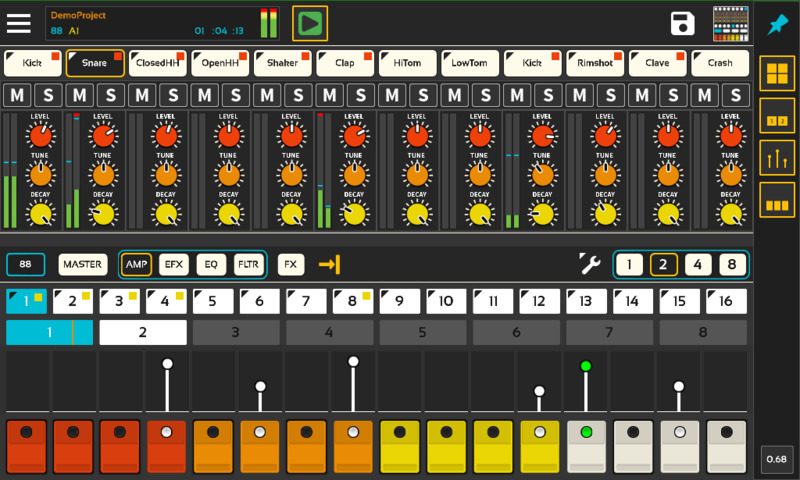 The Lil Drum Machine 1.4.0 has a new release on Google Play for the demo and full version. The demo version was taken down in Feburary due to some piracy issues that I fixed. Lil Drum Machine is going to be getting a pretty complex and dynamic piano roll that will give it all time signatures, triplets and note resolutions to 64th notes, audition, copy/paste, selection, undo/redo and more. I have also spent a lot of time creating content packs for Caustic available on Google Play. Any of the Beatbox Content Packs contain 64 samples each that can easily be loaded into the drum machine with the multi-sample browser.